Successfully Added 15 Meter Long 30FPS USB Endoscope - High Resolution Video + Photos, 3x Attachments, IP66 Rating to your Shopping Cart. 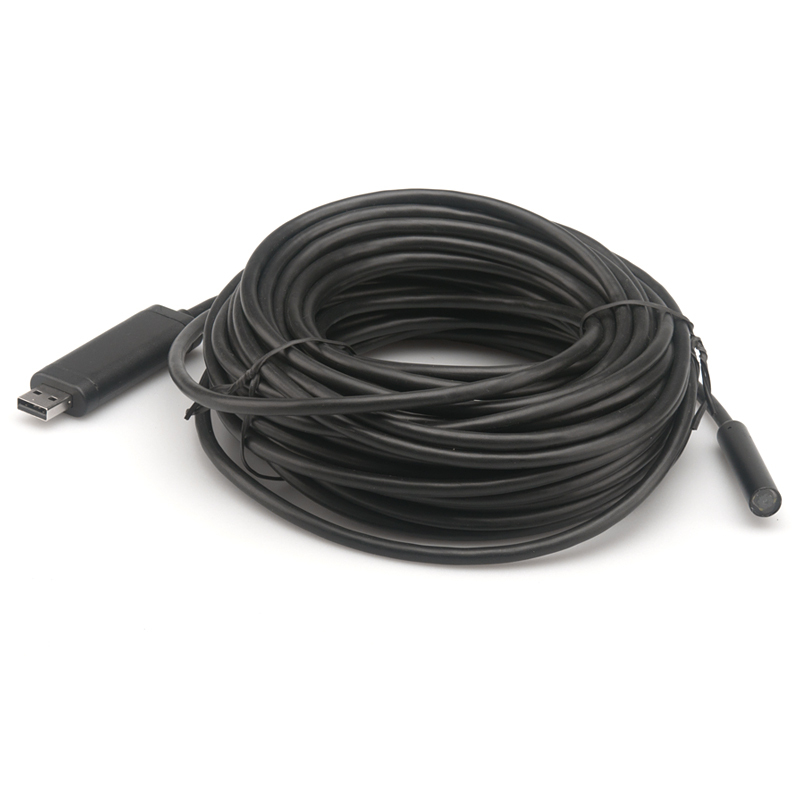 15 Meter long 2 Megapixel USB endoscope with High resolution video and 4 LED lights brings you vision in hard to access places. 3 Different Attachments This 15 Meter long endoscope is just the things to see into those tight spots. With its IP66 waterproof rating It can be used to help detect blockages or leaks in pipes and walls so could be a valuable addition to any tradesmen or home improvement tool box. There are three helpful attachments, a hook for helping you reroute electrical or other wires, a mirror for inspection work in tight spaces and a magnet which helps retrieve those screws or bots from hard to get to places. The lens of this endoscope has 66 degree viewing angle and when combined with the 4 bright white LEDs you can capture excellent video or pictures in even the darkest environments. The 30 FPS video or high resolution photos can be viewed directly on your computer via the USB port and its easy to install the required software from the CD which allows Windonws2000, XP, Win7 (32 Bit) and Vista to supported, so setup is hassle free so you can get to work right away. This product is in stock now, we guarantee next working day shipping and offer a 12 months warranty on all our products. Brought to you by the leader in electronic devices and wholesale USB Endoscopes, Chinavasion.